Once you have created a form and published it you will be able to see form submissions on the Blitzen App. 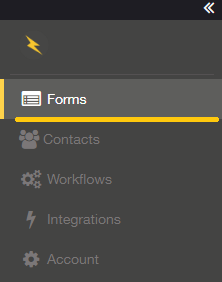 To do this, head over to the 'Forms' section accessible from the left-side panel. To expand individual submission just click ' expand record' on the left hand side.